Today I first walked around Tsuchiyu Pass Marsh Promenade which was located at Tsuchiyu Pass Onsen Village. 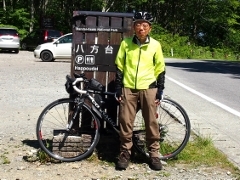 Then I pedaled up to Jododaira by Bandaiazuma Skyline Road and then returned to the same Onsen Village and stayed at Noji Onsen Hotel. 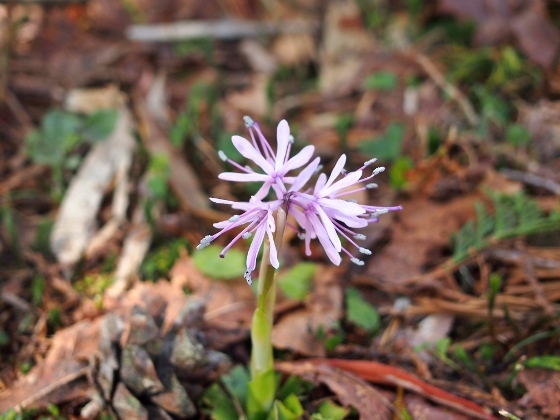 Tsuchiyu Pass Marsh Promenade was located in the Tsuchiyu Onsen Village and many kinds of spring flowers just started to bloom from May. Today I entered the marsh from Washikura Entrance and walked along the left promenade. 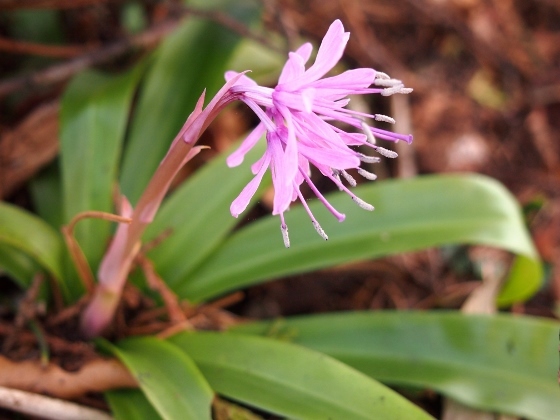 I found some Oriental swamp pink flowers scattered along the path. The location was red asterisk 1 in the map. 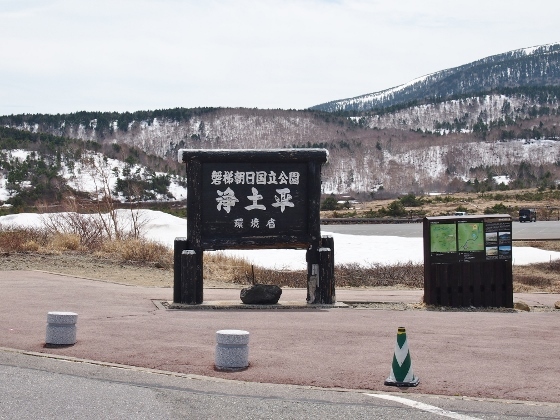 I could have walked to Akayu Entrance from here; however certain amount of snow still being left I had to give up. 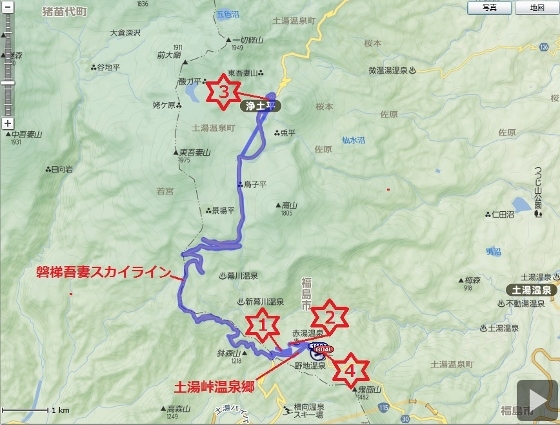 Therefor I returned back and pedaled to Akayu Entrance as shown in the picture above. 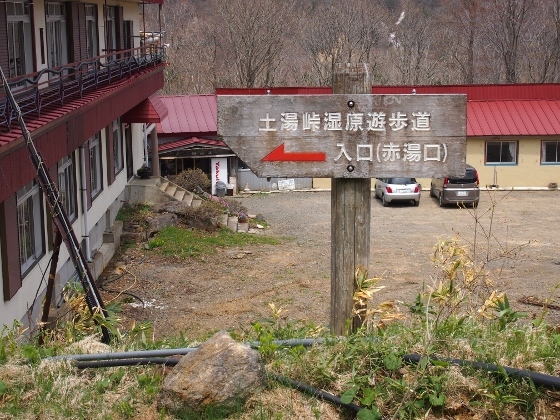 The buildings down the road were those of Kozanso Inn of Akayu Onsen. 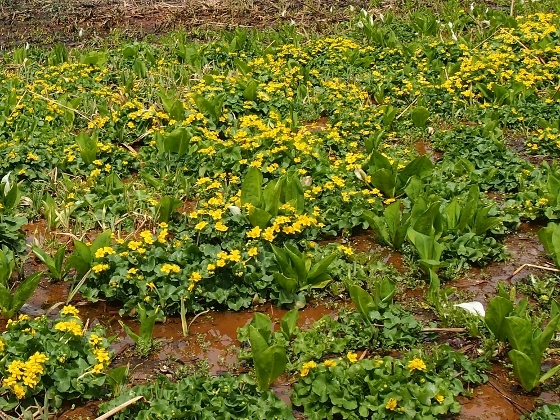 Soon after I started walking I found very large scale of marsh marigold group. The location was red asterisk 2 in the map. I had never seen such large scale before. 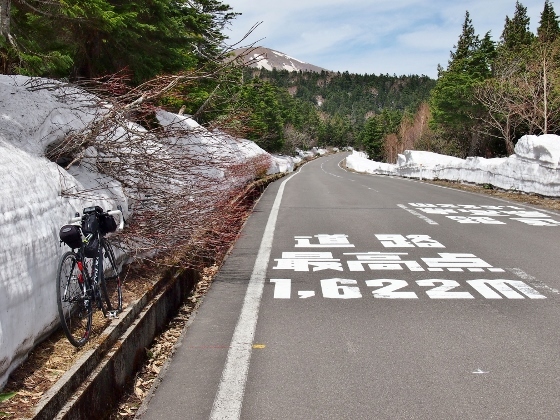 Next I pedaled up on the Bandaiazuma Skyline Road and went to Jododaira which was located on the foot of Mt. Azumakofuji. The location was red asterisk 3 in the map. On the way there was the highest spot of the road of which altitude was 1622m as shown in the picture above. There still remained some snow walls on both sides of the road. Above picture shows today's Jododaira. 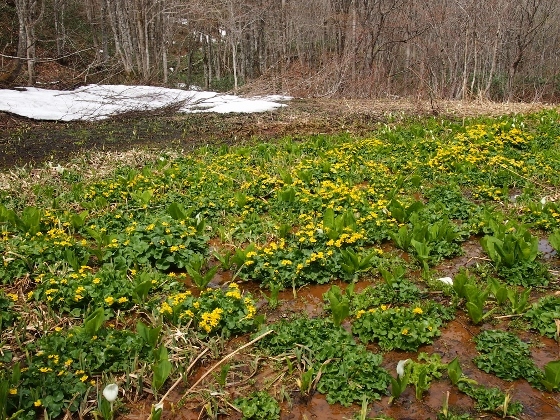 There was a large scale of Jododaira Marsh around here and many kinds of summer flowers would start to bloom from June. Today still some snow remained in the marsh and there was no flower. This time it was a trial. I then returned to Tsuchiyu Onsen Village again and stayed at Noji Onsen tonight. The location was red asterisk 4 in the map. 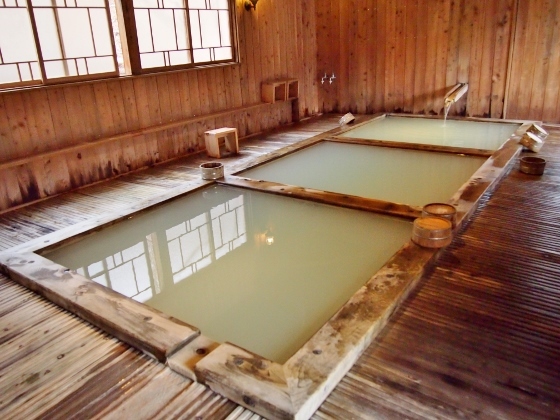 Distinctive feature of Noji Onsen was Senjunoyu Bath. 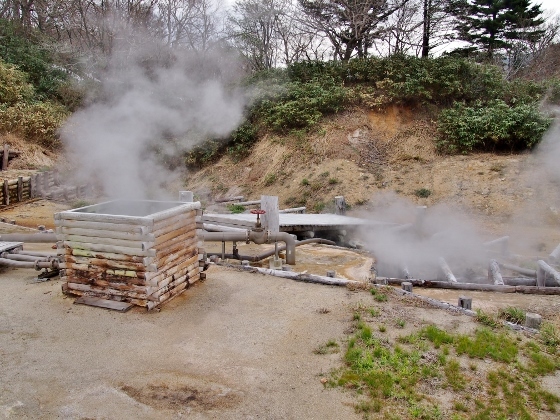 It had sulfur hot spring source just beside the bath thus I could enjoy very fresh and high quality sulfur bath. Since I am returning home tomorrow this will be the last report about Fukushima City this time.